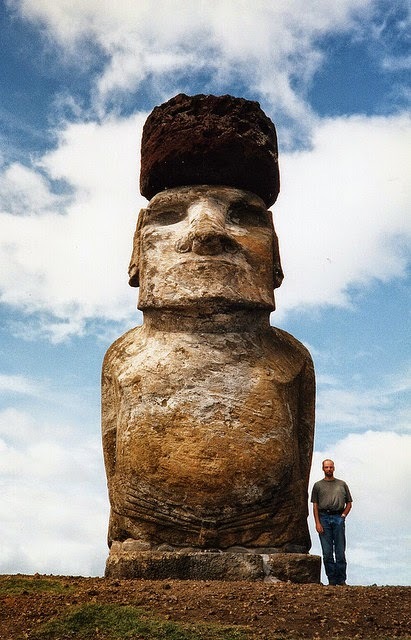 Easter Island or Rapa Nui or Spanish Isla De Pascua is a island in the South eastern Pacific Ocean. 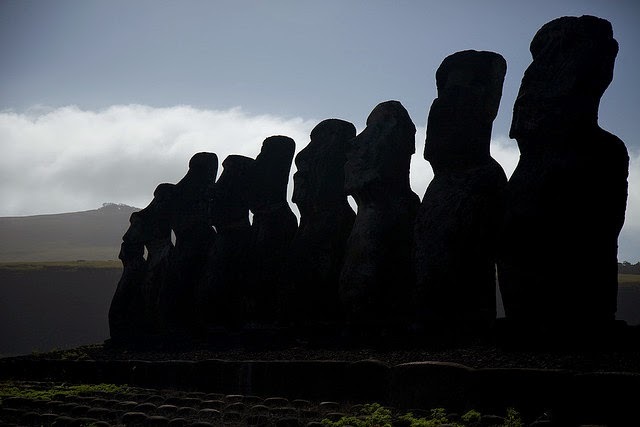 The island is very famous for its 887 unique Moai statues created by the early Rapa Nui people. Moai statues and other artefacts. 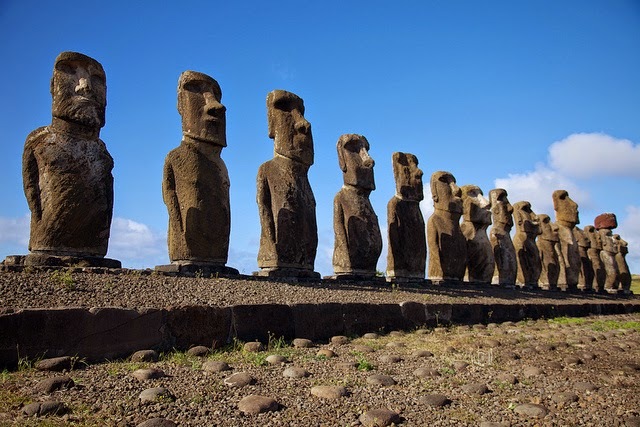 However the good life led to overpopulation and so to gradual deforestation and extinction of natural resources, which then led to demise of the Rapa Nui civilization. So by 1722 when the first Europeans arrived the population of the island had dropped to 2000 , 3000 from approximately 15000 just a century earlier. 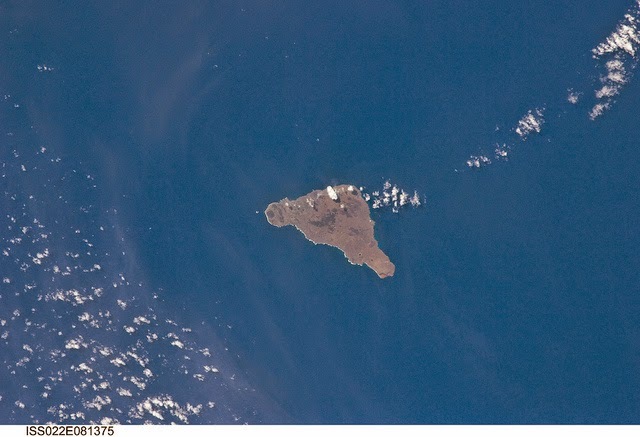 The island should be an example to the modern world as warning of the cultural and environmental dangers of exploitation. All the diseases carried by the European sailors and Peruvian slave riding of 1860 further reduced the population to 100 in 1877. 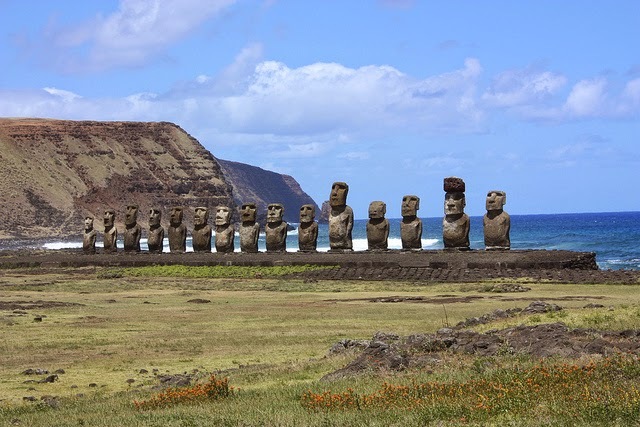 Easter island is a special territory of Chile that was annexed in 1888. The amazing statues which are all around the Island are just gorgeous to look at. The are different sizes the biggest one is never completed but is under construction its huge it weigh 85tons. The biggest completed one is sixty tons. Still is a big mystery how such a remote nation so long ago created all these amazing statues and moved them around the island. There are different rumours some say that thy are been placed there by aliens or by gods hmm now one knows for sure there are only different theories.